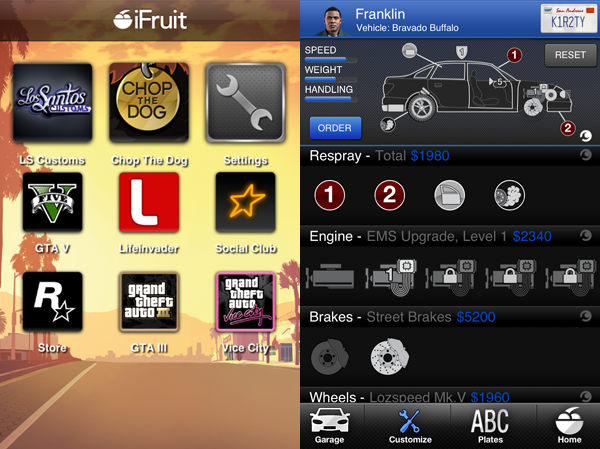 Rockstar have announced there they will be two GTAV companion apps available, for free! Released for iOS devices today and coming shortly to Android, the iFruit app features apps (appception?) connected to the in-game world using your Social Club login. Los Santos Customs - a garage to buy and customise vehicles on-the-go that will be delivered to your in-game garage. You can also reserve your licence plate to use in GTA Online and it will be unique to you! So grab it quick. 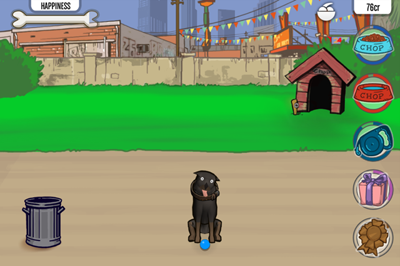 Misc - alongside those, we have direct links to mobile Rockstar games, the Rockstar store and the official GTAV website!